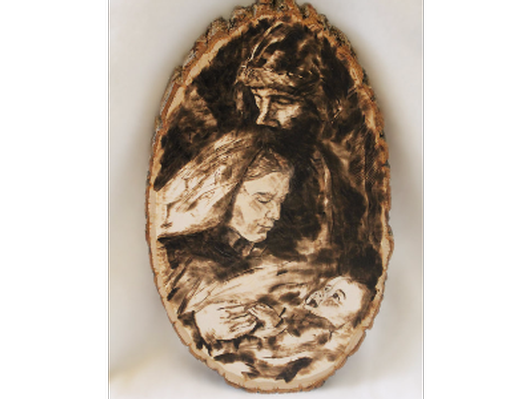 This item is an original pyrography (or wood burning) of the Holy Family. The image is burned into Bass Wood. We love this image because of the realistic representation of the Holy Family! The nativity didn't look like a Christmas card, but like real life- hearts that are exploding with adoration for one another after a child's birth! Consider this item as a unique wedding gift for a couple hoping for a Christ centered relationship! It may also be a great shower gift for a family who is welcoming a new child into their home- they will surely learn much about the love of the Lord through their infant! Custom made to order by Katie Hartfiel.